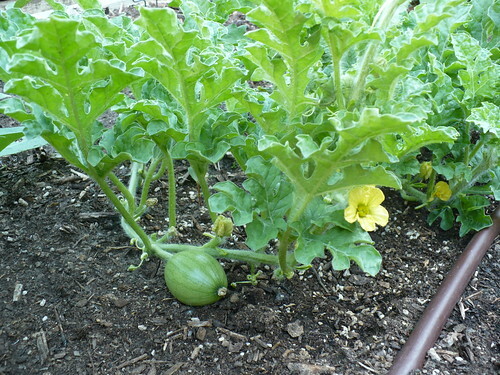 Not really sure how this snuck past me until it was the size of a tennis ball, but we have a baby watermelon! I’m actually very impressed by this plant so far, especially if I can avoid thinking about the pitiful germination rate. 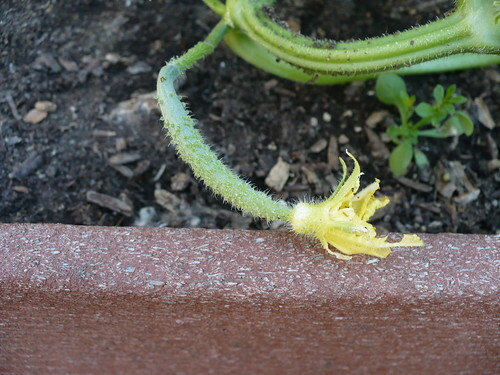 The Suhyo Cross Cucumber also is starting to develop some cucumbers. The other plants all have lots of flowers, but no cukes yet. 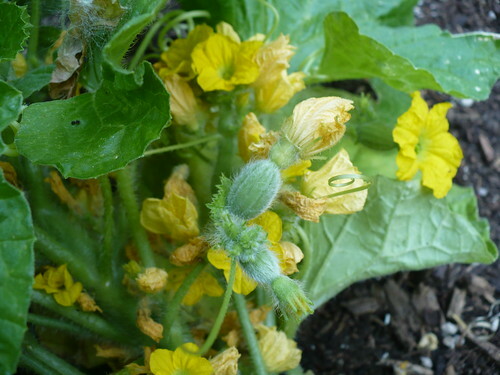 The cantaloupe, finally has some female flowers that will should turn into cantaloupe. Goodness knows we’ve had enough male flowers on the plants for at least 2 weeks. The flowers all seemed to burst into bloom this week. 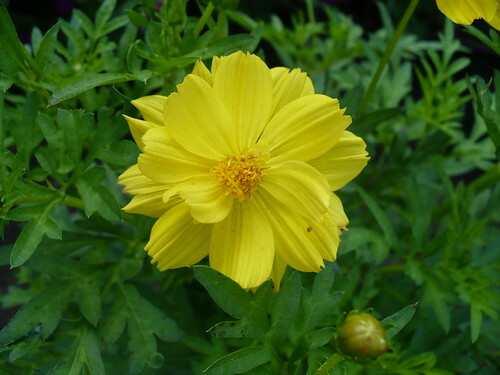 This is a ‘Lemon Bird’ Cosmos. The sunflowers also opened up. This was the first one to open on Tuesday. Today there are several open. 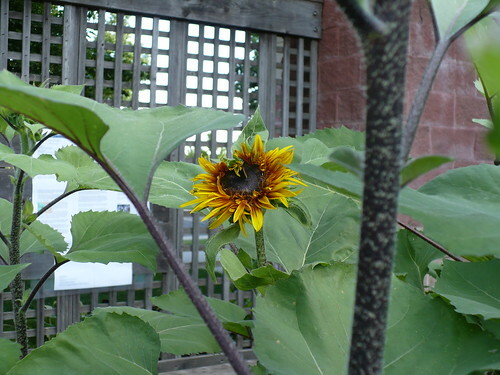 Posted on July 2, 2010, in PhotoEssays and tagged flowers, fruit, vegetable gardening. Bookmark the permalink. Leave a comment.